Valentine's Day is a time of love, beauty, and celebration no matter if you're attached or not. Maybe you're dating New York City and looking for some fun events to attend this week. Luckily, there's a lot of beautiful things on offer! In celebration of Valentine’s Day and love everywhere, The Evelyn Hotel, The Frederick Hotel, and Hotel Belleclaire, part of Triumph Hotels, have some incredible partnerships and activations planned with Empress Fiore and Flower Bodega. Guests traveling to New York City during the most romantic holiday of the year can take advantage of a floral pop-up shop, complimentary ranunculus rings and event the chance to win a treatment at the luxurious hair salon, Blackstones. This Valentine’s Day, Cinthia Rooney, a sought-after botanical consultant and the founder of Empress Fiore, will host a pop-up shop in the lobby of both The Evelyn Hotel and Hotel Belleclaire. Stocked with unique floral gifts, travelers and locals alike can choose from a selection of ranunculus rings and boutonnieres. Exclusive to the hotels, the first ten guests to present their room key at the pop-up shop will receive a complimentary package with both items to take home as a keepsake or gift to a loved one. 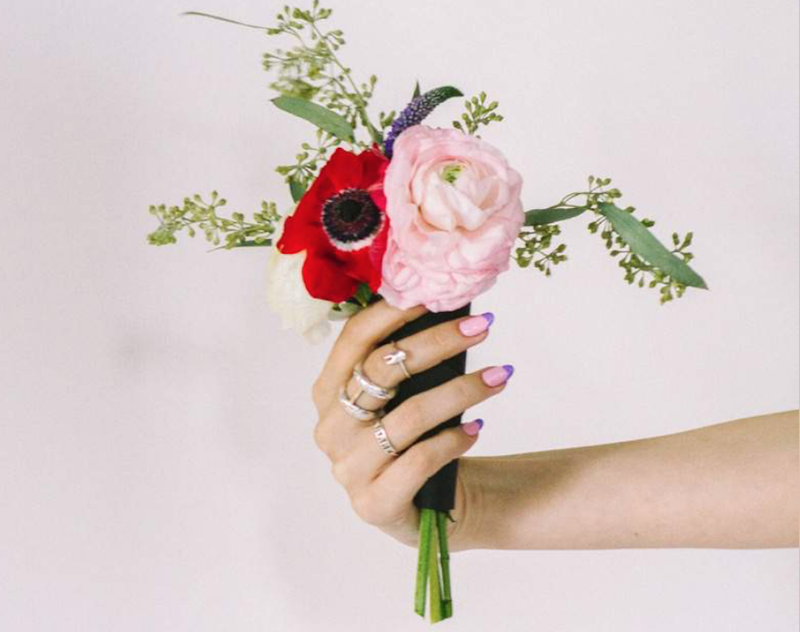 From Friday, February 8 until Saturday, February 16, 2019, New York City local Aurea Sanabria Molaei, the founder of the boutique floral studio Flower Bodega, will call The Frederick Hotel home during a floral pop-up shop. Selling custom-crafted mini arrangements inside the hotel’s front entrance, guests and passersby are invited to purchase options including a variety of colorful seasonal flowers. Travelers with a sweet tooth will enjoy easy access to delicious pastries from Mille-feuille Bakery Café in the heart of the Hotel Belleclaire lobby. Special for Valentine’s Day, the bakery will be serving the glamorous French pastry, Ispahan, which is a large macaron filled with fresh raspberries, lychee, and a delicate rose cream. Exclusive to the hotel, the first ten guests to present their room key will receive a complimentary box of these distinct macarons. If Valentine’s Day is about self-love for you this year, Triumph Hotels is also launching an anti-Valentine’s Day social media campaign. Followers are encouraged to submit a brief story about how they triumphed over a less-than-ideal romantic situation and share how they plan to spend their day. By including #MyValentinesDayTriumph and tagging @triumphhotels in an Instagram Story, they will automatically be entered for a chance to win a complementary treatment at the luxurious hair salon, Blackstones. Founded by Joey Silvestera, Blackstones utilizes locally-produced hair care line, Five Wits, made with specially-formulated botanical ingredients to nourish, hydrate and rejuvenate the hair. For more information about the activations, visit triumphhotels.com.